Photo by Christin Hume. See more of Christin's work at instagram.com/christinhumephoto/. If your goals for 2019 include elevating your writing or getting published more often, then you'll find this month's essential reading recommendations from the staff at Literary Mama extra helpful. Kathleen Buckley, Reviews Editor, shares a book to help memoir writers: "Of all the books on writing that I purchased in grad school, there's only one that's never been relegated to my dusty bookshelf. 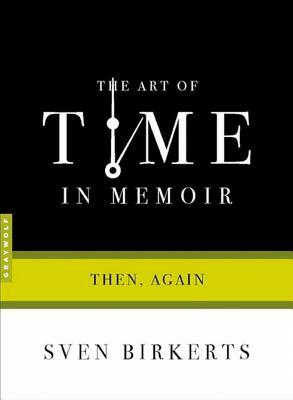 The Art of Time in Memoir: Then, Again by Sven Birkerts remains faithfully by my side (or by my laptop's side). Every single time I pick it up, I'm reminded that memory is my superpower. I primarily write about the past, specifically, about the people in my past, so I worry if the facts I recall are accurate. Memoirists are often criticized for having flawed or selective memory, and this can cause a bit (tons) of hesitation when it comes to getting words down on a page. I can definitely attest to the fact that fear of faulty memory creates writer's block! In The Art of Time in Memoir, Birkerts shows us how the passage of time can actually benefit memory by transforming it into something even better—story. Memory, he says, when combined with the distance of time, makes for a richer, more personal experience of its telling. The chapters of his book are organized by sub-genres like 'Mothers and Daughters' and 'Trauma and Memory,' so it's easy to find relevant ideas on whatever subject you're writing about. This book reminds me that the personal narratives I draft are valid and that memory, my memory, is worth examining. Next time you're struggling with your own personal narrative, pick up this little volume and give it a read. I promise you'll find the freedom to look back and remember." Colleen Kearney Rich, Fiction Editor, points us in the direction of some help with fiction writing: "I always enjoyed reading author Benjamin Percy's columns on writing in the magazine Poets & Writers, but they were never available online, which made it difficult to share them with writer friends. I was excited to find that a number of those essays were collected in Thrill Me: Essays on Fiction. 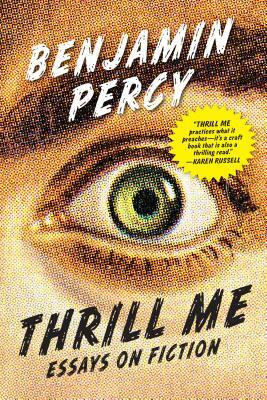 Percy is a huge fan of genre fiction and discusses how he merged his love of genres like horror and science fiction with expectations of literary fiction. He also uses specific references to authors who are bending and crossing genres, so don't be surprised if your 'To Be Read' pile grows significantly after reading the book. One of my favorite essays is 'Home Improvement: Revision as Renovation,' where he discusses recasting and revising his first novel, The Wilding, while renovating his house. I love these stories about the struggle that goes on behind the scenes in the creation of a book. It helps me remember that there isn't a magical writing formula, just a lot of hard work." Kim Ruff, Creative Nonfiction and Fiction Editorial Assistant, has this recommendation if you're interviewing family and friends for your writing: "When my mom and her sister decided they could no longer care for their mom, they moved her into a nursing home. Although I had visited with Grandmom often and we had great conversations, I never thought to capture her story—probably because she practically raised me and I thought I always knew her story. It wasn't until she passed that I realized I didn't know much about her childhood or her relationship with her eight siblings. I was in an MFA program at the time and I wanted to write about what life was like growing up with nine siblings in the 1920s, so I set up time to talk with and interview her four surviving siblings. Sometimes, the preparation that happens before someone sits down to write is even more important than the act of writing, so prior to the interview with my great-aunts and uncles, I researched online to find the best book to provide guidance for the interview process. I found Mary LoVerde's Touching Tomorrow. 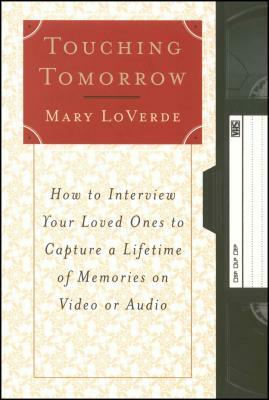 LoVerde's book is a six-part guide that offers practical and easy-to-implement advice on how to interview loved ones. LoVerde designed this book to help people capture the 'essence of who your loved one really is' by asking questions that 'evoke serious and heartfelt responses' and cover each stage of their life. She's sensitive to the fact that not everyone wants to be interviewed (and dedicates a whole chapter on multiple ways to help your loved ones understand the importance of building a legacy for future generations), and reminds interviewers to keep the questions fun and light and make it a conversation and not an interrogation. What was most helpful during the process were the questions LoVerde offered throughout the book, ones that I would have never thought to ask, from 'What do you wish you had learned to do?' to 'Did you ever run away from home?' 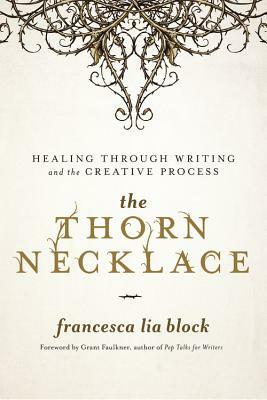 "
Finally, Fiction Editor Felicity Landa thinks this all-in-one memoir and guide on how to write a book will inspire you: "Francesca Lia Block's lyrical and engaging memoir, The Thorn Necklace: Healing Through Writing and the Creative Process, is an enriching and insightful read advertised as a memoir driven guide to writing. Block's signature lyrical prose takes the reader on a journey through her complicated and heartbreaking relationships, the illness and death of her father, and the beauty she has created from her pain. Within the captivating and sometimes haunting stories of her life, she weaves together 12 questions that provide a step-by-step guide on how to write a book. From building successful and three-dimensional characters to the climax and resolution, Block's wisdom as a teacher and writer of over 25 works of fiction is truly immeasurable. Block has spent her life transforming her heartbreak and insecurity into the magical realism that she's known for, and she's been incredibly successful in both her career and her healing process. 'For me, love and writing have always been one in the same,' she writes in her chapter entitled Rough Magick. 'They are often birthed out of pain, or some kind of sacrifice.' When I started reading, I didn’t know what to expect, but I found myself stepping out of the book with a better understanding of writing and how to transform my personal pain into my craft. I truly admire Block's vulnerability in this memoir. Her willingness to share the darkest parts of her life, those that gave her a literary voice, gives the reader an enriching connection with her. This is a memoir for writers, artists, fans of Block's beautiful books, and anyone searching for meaning within their pain." Which books about writing have inspired you? 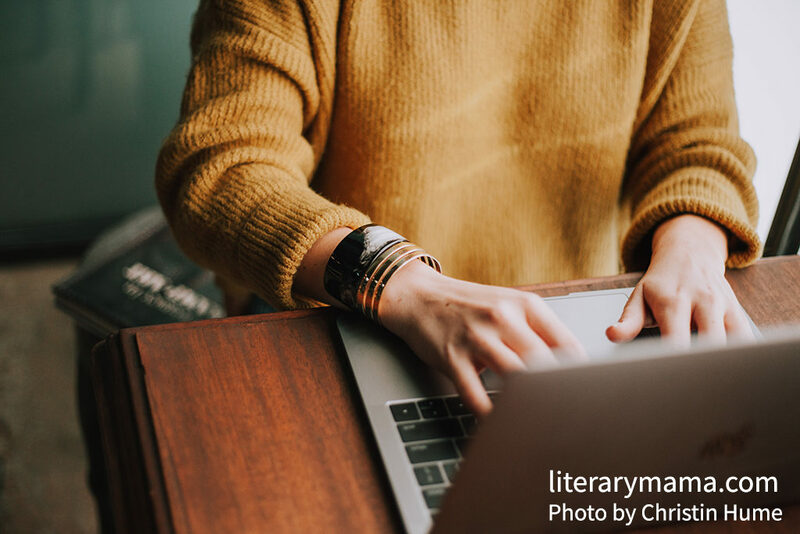 Tell us in the comments, or tweet us @LiteraryMama. You can also follow us on Instagram @Literary_Mama and Goodreads for more recommendations.